Bring the storm with CKS’ new THNDR 240W & BOLT MESH Tank Starter Kit. Lightning-quick vapor is in the palm of your hand with the integrated VOCHIPSET offering world-class ramp up times, supporting multiple common battery types including 18650, 20700, and 21700, as well as offering a stunning user interface and multiple customization options to make the THNDR yours! And don’t forget, you’ve got the BOLT sub-ohm mesh tank with a sliding top-fill port for easy top-ups when you need it most and a comfortable to use 25mm diameter base. 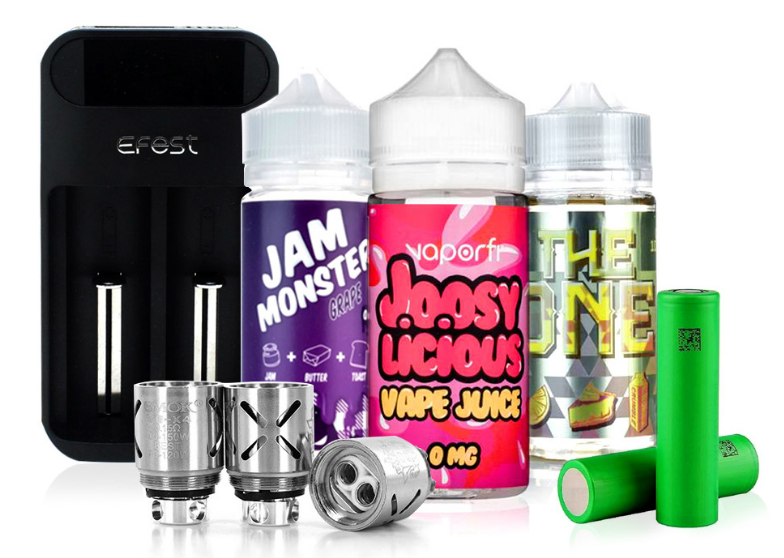 Everything you need for amazing flavor is here in this ultra-powerful system that sets the CKS THNDR ahead of the pack! With user-friendly features, a gorgeous look, and power to rival the God of Thunder himself, the CKS THNDR is an absolute cannot-miss. Add the incredible CKS THNDR 240W & BOLT MESH Tank Starter Kit to your cart today with DirectVapor! Very surprised by how smooth each hit is with this kit. It definitely does what I want. This really is the best kit for high wattage vaping as far as I’m concerned. It’s the only one I’ll use when I’m craving puffy clouds.